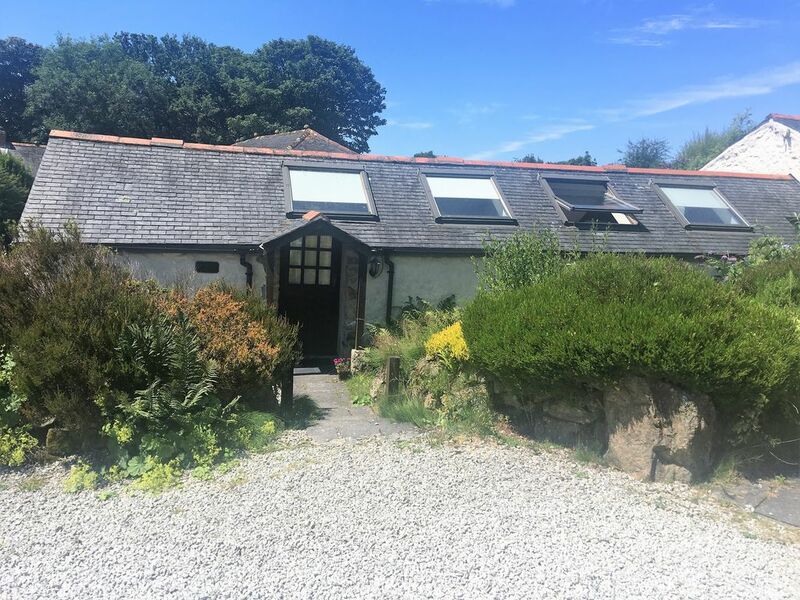 Centrally located in totally unspoilt Cornish countryside - away from the crowds but only 15-20 minutes from both North and South coasts. A perfect opportunity for a peaceful and relaxing stay with all major tourist attractions within easy reach. In addition to the private garden with outdoor seating, guests can also enjoy our alpacas, ponies, chickens and woodland. This cosy cottage offers 1 double bedroom with an en-suite bathroom with shower over and tiled flooring. The open-plan living area has a leather sofa and oak flooring, a TV, Freeview, wifi, DVD and dining area. The kitchen area offers a gas cooker, microwave, integrated fridge, separate freezer and dishwasher. An enclosed small lawn with patio furniture. Access to shared laundry room with washing machine. Family man with 4 school-aged kids. Thoroughly enjoying running our family business with my hard-working wife Julia after spending too long in the rat-race. Love travelling - stayed in anything and everything from a tent to a 5 star hotel all over the world. Spent 3.5 years in Texas before moving here and loved every moment when I wasn't working. Still working on losing the trans-Atlantic accent. Wir haben unseren zweiwöchigen Aufenthalt in der Lodge sehr genossen. Die Gastgeber sind sehr freundlich und aufmerksam gewesen. www.cornwalltouristpass.com Buy a family pass before you come to Cornwall and enjoy discounts on popular attractions. www.cornwallculture.co.uk Events listings, art exhibitions, performances etc. www.diningincornwall.com Exstensive Information on eating out in Cornwall. www.visitcornwall.co.uk The official website of the Cornish Tourist Board with comprehensive listings of events, tourist attractions and food and drink. www.insidecornwall.co.uk An online magazine with arts and events listings. The mild climate in Cornwall means that there are numerous wonderful gardens hosting a variety of sub-tropical plants. There are a number of National Trust properties in Cornwall; a few local ones are: Trelissick, Glendurgan and Trerice. www.greatgardensofcornwall.co.uk and www.nationaltrust.org.uk).